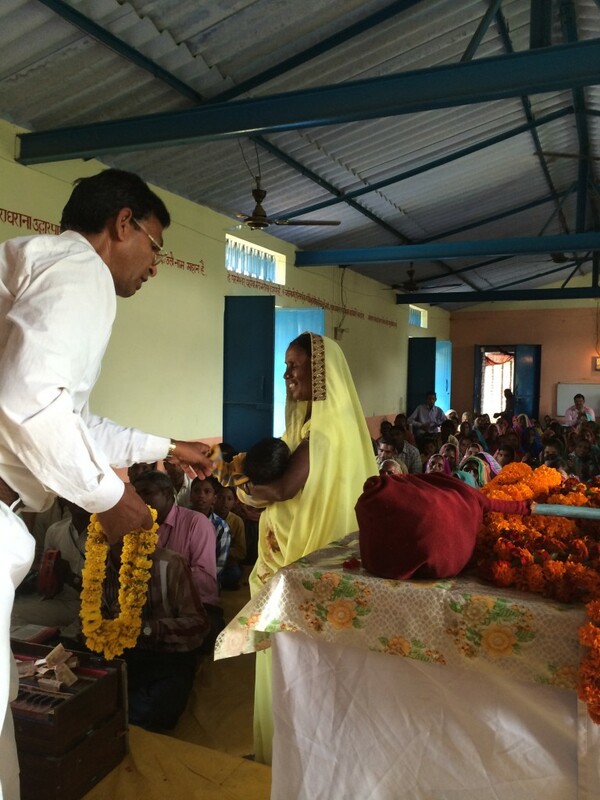 We had the honor and privilege of worshiping with about 150 Indian believers in a village outside Varanasi. The service lasted “only” three hours. We had chairs, but the local believers sat nearly all that time on the concrete floor. Following testimony time, our team was asked to share. The Lord reminded me that I had met Pastor Vijay on my trip in early 2013. He asked us to pray for him as at that time his church was under persecution, and attempts were underway to force them to tear down their building (a rarity, most churches meet in homes). I vividly recall while praying for him having the thought, “Who am I to be praying for this man under whose ministry many validated miracles have occurred?” However, at that time the Lord assured me that my role that day was to pray for a brother who had a need. This morning I shared from James 5:16 how the fervent prayer of righteous men and women is powerful and effective. I told them how I had joined Pastor Vijay and their congregation in prayer, and today I was blessed to see the results of those prayers as I was worshipping with them in their building. Prevailing prayer resulted in the church winning the lawsuit brought against them. The building remains standing as a testimony to the power of God and answered prayer. Humbled: At the close of the conference we had the privilege of standing alongside ASSI leaders and serving communion to those in attendance. What a beautiful sight! For me it was a tangible expression of partnership. 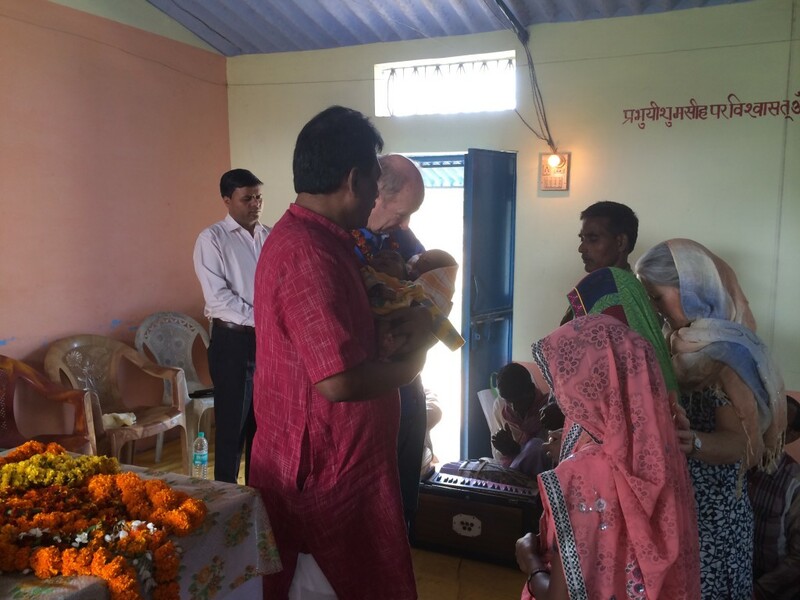 I was particularly humbled to serve Sukhlal, an evangelist and church planter who – we were told – has led over 1500 people into the Kingdom in the past 18 months! My final recipient was Victor John, the leader of this church planting movement. It was a wonderful close to a tremendous conference! Sunday was a day of huge contrasts. We began with an Indian worship service with the church led by Pastor Vijay. We joined it already in progress, and the portion in which we participated was three hours. It’s the highlight of their week. We were amazed by their generosity to us as we were greeted with garlands of marigolds, at least three for each of us … and their generosity to the Lord as we watched them bring their offerings. They served us a delicious meal after the service. Our next stop was back in Varanasi where we visited the spot where Buddha preached his first sermon. While he left some good principles he was not able to offer the gift of life and meaningful answers to life’s issues. We closed the day at sunset on the Ganges. It’s a big Hindu production of lights, clanging bells, candles and rituals. But this faith system affords no hope for this life or for eternity. Rather, it’s a life spent trying to appease the gods. We praise and thank God for the way He is working there in India, and for the way He is using you all, as well!